The Bank of America Winter Village ice rink has so many skating amenities that the choices can be hard to navigate. Here's the savvy skater's cheat sheet to save time and money at the rink. 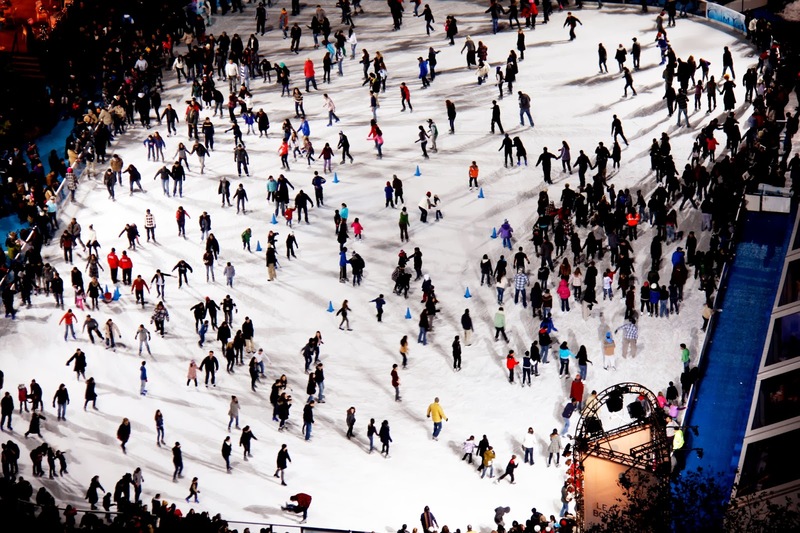 As NYC's only free skating rink, you can bet we're popular, especially in the evenings, after work and school let out and on weekends. If you want to avoid waiting in a long line, come at any time Monday through Friday between 8am and noon, and 2pm and 5, when the rink is less crowded. Or, you can purchase a FastPass, which will allow you to skip the line even during peak hours and also includes skate rental and bag check ($25 online, or $28 on-site). 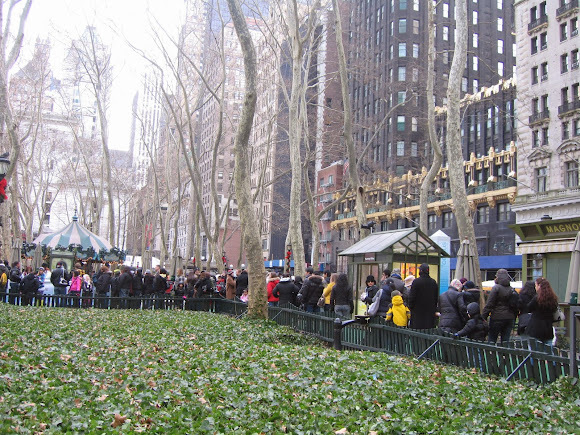 The line to skate can snake around the park. Luckily, you know how to avoid the line! We have hundreds of skates available to rent ($15 each) in youth size 8 through size 4 and adult size 5 through 15, but you can save time and money by bringing your own. As a bonus, we have skate sharpening on-site ($20), so the skates you brought from home will be perfectly sharp and speedy. For safety reasons, we do not allow bags and other personal belongings on the ice. We have a bag check ($8 or $10, depending on bag size), but our lockers are free to use if you bring your own lock! Bringing your own skates and lock means no waiting in line for those items! Follow these simple tips--come at non-peak hours, bring your own skates, and bring your own lock--and save yourself the lines and fees!